Sideshow makes Star Wars collectors choose the color of Han Solo’s coat. At $199 per figure buying both is a costly option. 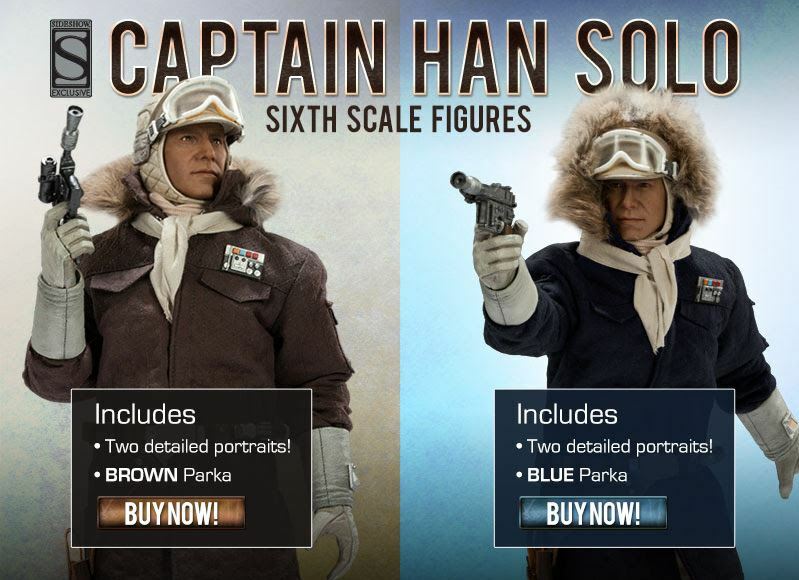 So let us know in our forums, will you be buying the Blue Coat Han, the Brown Coat Han, or both?